Wow Roberta ... these are amazing paintings and the artist sounds very intriguing. I will definitely look him up. Love his colour scheme ! 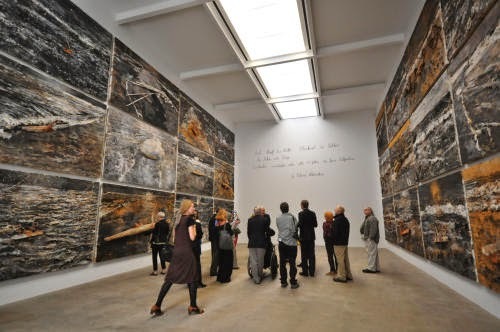 Roberta, I'm delighted that you enjoyed the Kiefer exhibition. I wonder if it is the same one which is coming to London in September - I am greatly looking forward to that. I am an admirer of Kiefer's work and have been so for several years now. Like you I had only seen his work in reproduction until 1997 when I saw an exhibition. Like you I was blown away. I see now that the works you have are a permanent installation - lucky you!